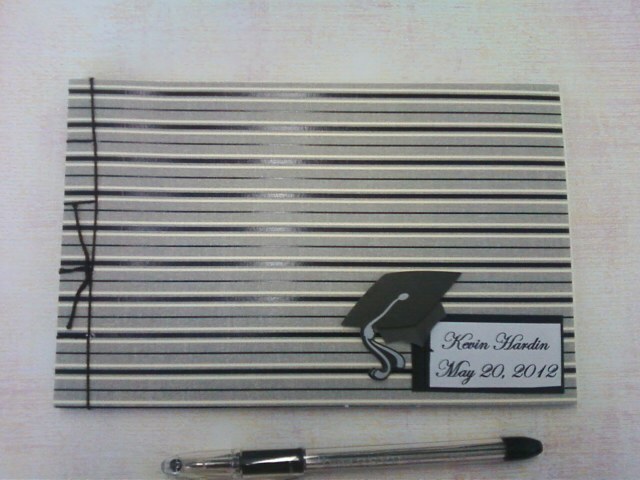 I really like this gray, black, and ivory striped graduation autograph book. 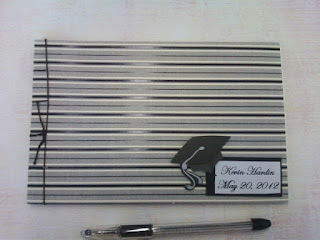 It isn't as glittery as the book I showed you all a few ago, but it's simple and classic. I'm thinking maybe a black and white polka one would look neat,too what do you think?